New Geek Knits Auction! Poison Ivy! 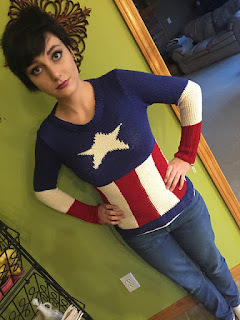 A new Geek Knits auction is live! 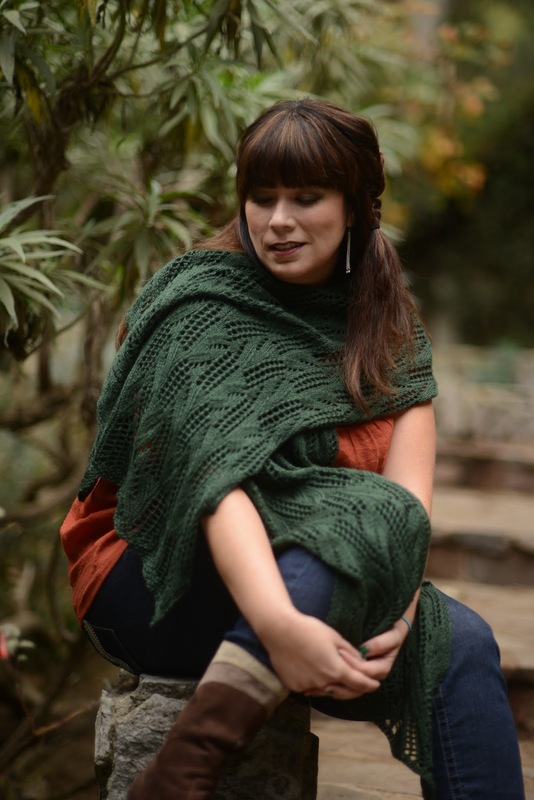 This one is the Poison Ivy wrap modeled by the incredibly talented Leah Cevoli. This shoot was so much fun, and Leah was a great model. Incredibly easy to work with and very photogenic! Less than 24 hours and this wrap is already over $100! Proceeds are going to the Make a Wish foundation so I'm extremely excited to see how this comes out! I love seeing completed patterns in the wild. And I REALLY love what Kim has done with her "America!" sweater! Check it out on her Ravelry Project page!